Retaining the office would not, by itself, change the administration’s attitude about cyber within foreign policy or about the State Department. The office could only generate traction if the administration acted as if cyber issues were strategic priorities for the United States, which is not presently the case. The notion that continuing the cyber coordinator’s office might produce a “trickle up” effect that transforms the administration’s outlook seems far-fetched. Triggering such a transformation requires targeting people and processes higher up the foreign-policy food chain than a State Department unit. 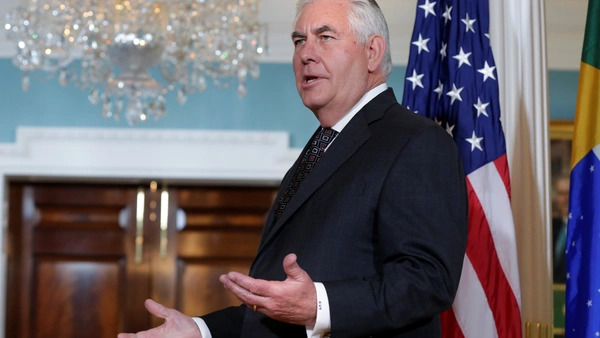 Criticism of Secretary Tillerson’s decision also often overstates the benefits a cyber coordinator’s office can produce for U.S. foreign policy. The period in which the office functioned can hardly be considered a golden age of U.S. cyber diplomacy. Created in February 2011, the office contributed to diplomatic achievements, such as the U.S.-China agreement on economic cyber espionage. However, the U.S. government also struggled to achieve important foreign policy objectives in cyberspace despite diplomatic efforts supported by the White House. The Obama administration anchored its International Strategy for Cyberspace (2011) in protecting “our core commitments to fundamental freedoms, privacy, and the free flow of information.” In the years that followed, internet freedom has declined around the world, privacy is increasingly under threat, and the free flow of information has become more endangered. These difficulties occurred despite the skill of State Department officials working directly on cyber issues. During the office’s existence, the political context for cyber diplomacy deteriorated in ways that made progress difficult to achieve and sustain. Revelations about secret U.S. cyber activities, including Stuxnet and National Security Agency programs disclosed by Edward Snowden, adversely affected U.S. legitimacy and influence globally. Divergent national interests on a range of issues--including cybercrime, privacy, freedom of expression, and terrorist exploitation of the internet--proved frustrating to reconcile, even among like-minded democracies. Authoritarian governments asserted their perspectives, practices, and power more aggressively, creating an ideological fault-line running through almost all cyber policy questions. Cyber issues, especially cybersecurity, became caught in the vortex of worsening geopolitics among China, Russia, and the United States. The difficulties U.S. cyber diplomacy faced during the time the cyber coordinator’s office operated demonstrate that having such an office is not an indicator or guarantee of diplomatic success. None of the political problems that tormented U.S. cyber diplomacy during the Obama administration has disappeared. Indeed, in some areas, the problems are getting worse. Efforts by the U.S. government in the UN Group of Governmental Experts to achieve consensus on international law’s application in cyberspace appear to have had only ephemeral effect, with China and Russia abandoning this consensus in the latest round of GGE talks. Now, cyber norms are for the “good guys,” who need them the least, and cyber deterrence of the “bad guys” has not proved effective. Re-constituting the State Department’s cyber office will not, by itself, provide an effective way to navigate the increasingly turbulent international politics of cyberspace. In sum, keeping the Office of the Coordinator for Cyber Issues only makes sense if the White House makes cyber diplomacy a foreign policy priority, develops a comprehensive strategy that addresses the challenges U.S. interests in cyberspace face, and empowers the State Department to implement the strategy. The prospects for these preconditions appearing soon are grim. In this context, whether the State Department has a cyber coordinator’s office is not the most important question for the future of U.S. cyber diplomacy. Which Cyberattacks Should the United States Deter, and How Should It Be Done?